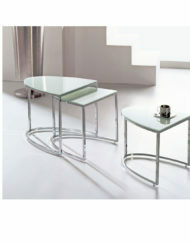 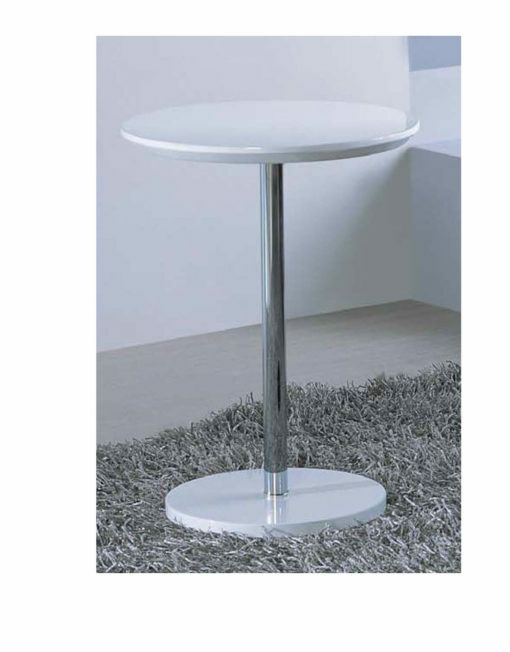 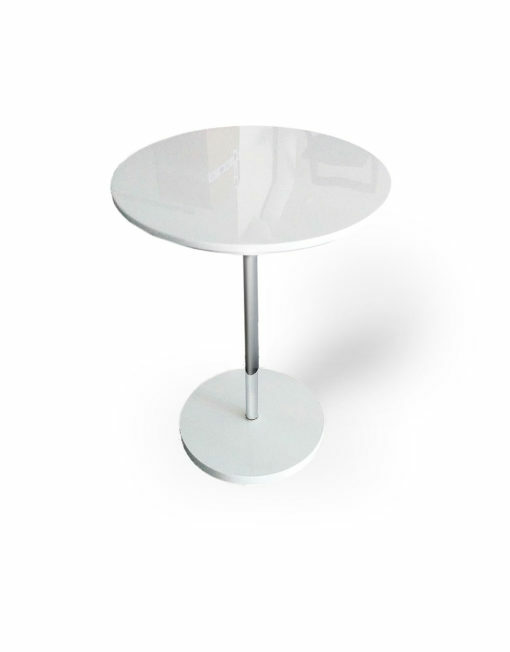 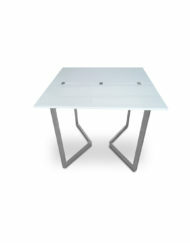 The Minima Side table with chrome singular leg and glossy white base and table top. 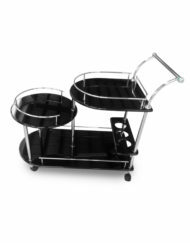 Comes in a set of 2. 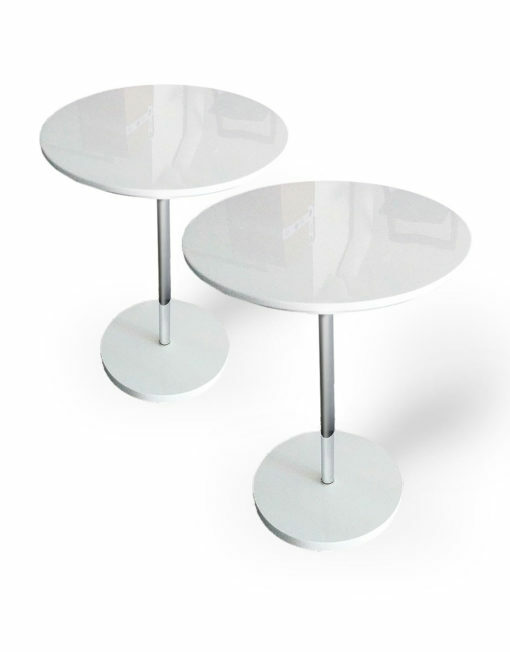 At 40cm in diameter and 55cm in height it is an ideal height as a side table next to the sofa but also a minimal lap height tea table that can be placed in front of the sofa. 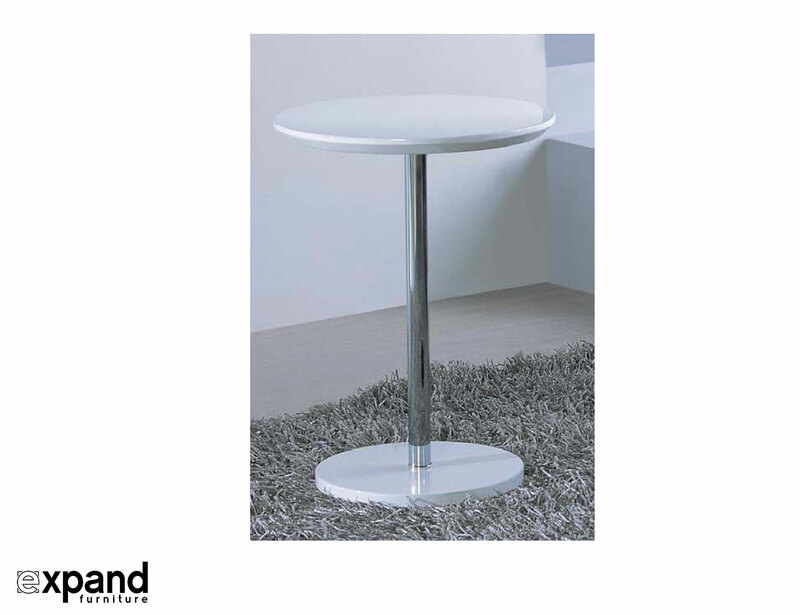 The Minima side table top is painted in a vibrant white gloss lacquer and matched with a chrome leg for a sharp, bright, minimal look. 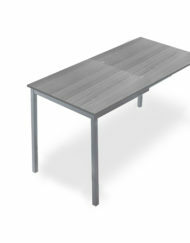 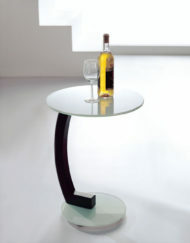 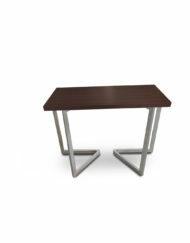 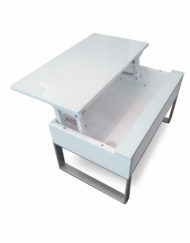 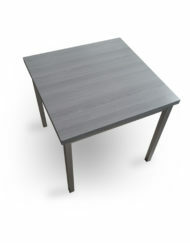 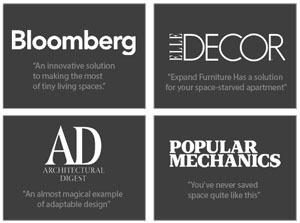 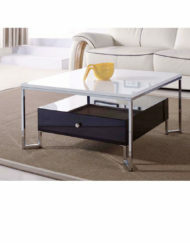 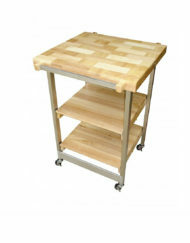 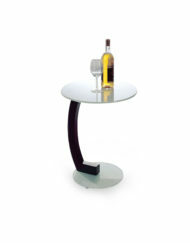 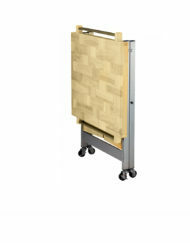 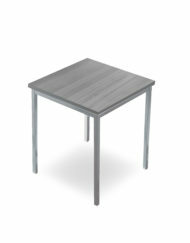 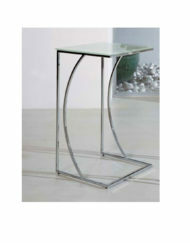 View some more side table options: Crescent, Harmony Nesting. 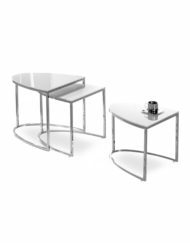 A minimalist side table set that fits next to a sofa at an ideal height. 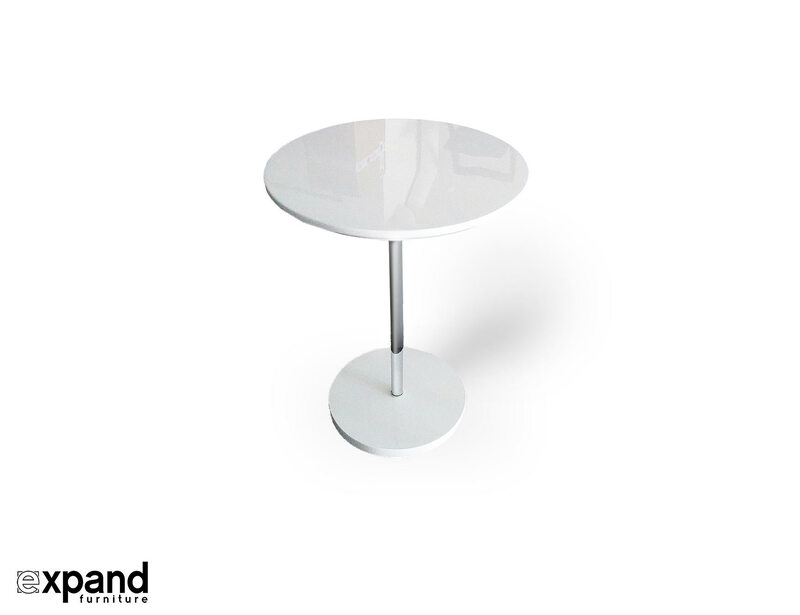 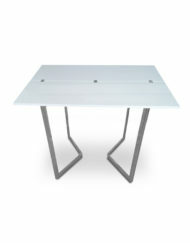 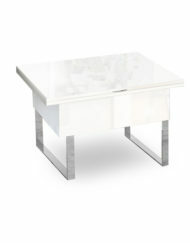 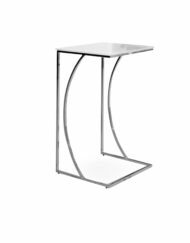 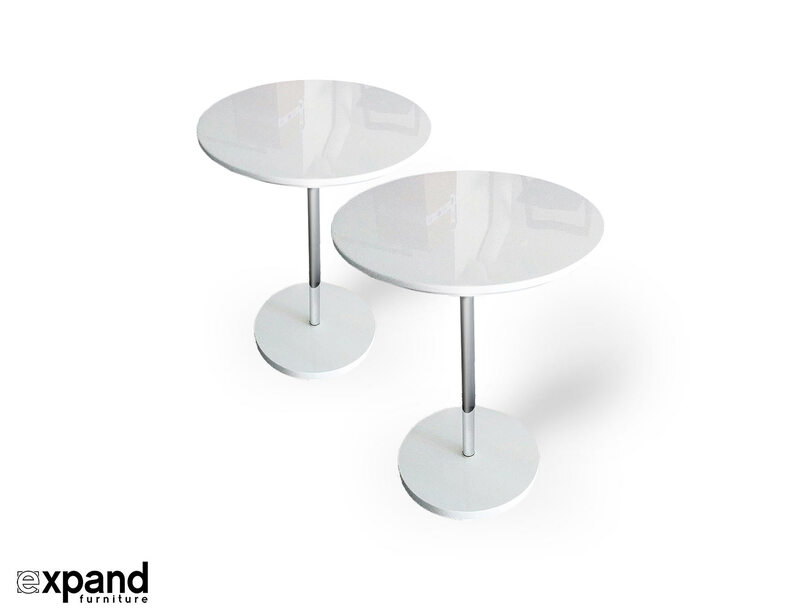 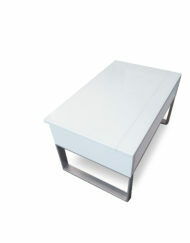 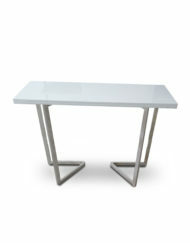 The Minima Side table in glossy white with a chrome leg is a smart accent table. 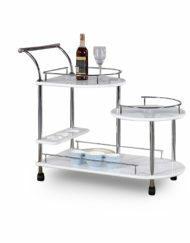 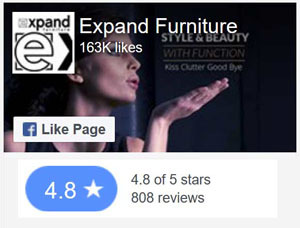 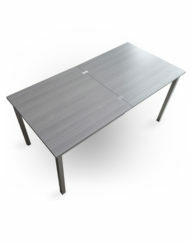 Comes with 2 tables in a set.